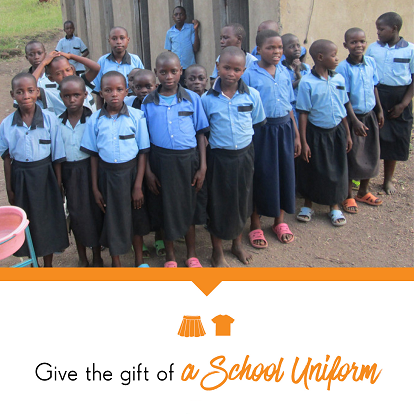 Help children attend school with the gift of a school uniform. School uniforms are often required for attendance, meaning without one, a child must stay home. When a family can’t afford a school uniform, the children forego an opportunity to break the cycle of poverty through education. Alice lives in Rwanda where her family struggled to produce an adequate income. They could not afford a school uniform, which was necessary for her to attend classes. 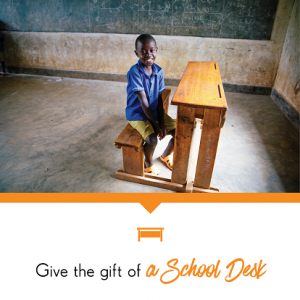 This made it impossible for her to go to school, which could have locked her into the generational cycle of poverty. However, FH provided her with a uniform. Now she can go to school and work toward her dream of becoming a doctor. This year, school uniforms will be distributed to communities in India, Kenya, Bangladesh & Nicaragua.